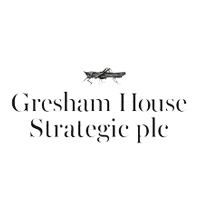 Gresham House Strategic plc (LON: GHS) has today announced its unaudited half year results for the period ended 30 September 2018. GHS invests primarily in UK and European smaller public companies, applying private equity techniques and due diligence alongside a value investment philosophy to construct a focused portfolio expected to be comprised of 10-15 companies. This announcement contains inside information for the purposes of Article 7 of Regulation (EU) No 596/2014 (“MAR”). Upon the publication of this announcement, this inside information is now considered to be in the public domain. For the purposes of MAR and Article 2 of Commission Implementing Regulation (EU) 2016/1055, this announcement is being made on behalf of GHS by David Potter, Chairman. The full version of the Gresham House Strategic plc interim report will be available on its website shortly at www.ghsplc.com.